WSOB – World Series of Blackjack is first in history of blackjack televised blackjack tournament created by GSN (Game Show Network) cable television network. It was first broadcasted in 2004 and gained popularity in a very short period of time. WSOB tournaments are closed and only invited players can participate. Invited players are usually famous blackjack players or celebrities. The only way to play in WSOB not being invited players is to win in a satellite tournament. In the first two seasons of WSOB only invited players could play, but beginning from the third season of 2006 everybody had a chance to play with the legendary blackjack players and celebrities and win a great slice of a pie. There are 40 places in WSOB tournament for satellite tournaments winners. It is interesting that sometimes online bingo sites can provide information about WSOB and even have the latest news. But, of course, it is always better to search for a direct link to the sites dedicated to WSOB. Rules of the World Series of Blackjack are almost the same as in most blackjack tournaments. The rules of the game as in classical blackjack – Dealer must reach 16, and stand on all 17’s and higher. Blackjack is 3 to 2. There are only some additional rules which were added for more amusement of the viewers. You should keep them in mind, as well as info about some other games (we are sure you would like to play some of them to have fun). So do not waste time, learn rules of WSOB and other games. If you want to play game which brings lots of fun, but is not so complicated as blackjack, try games of chance like slots, roulette and craps. Players begin with a 100000$ bankroll each and the main prize is 1 million dollars. The minimum bet is 1000$. The maximum bet can reach 50000$! It is a six deck game. As in original blackjack players can hit, split and double down. But, on the opposite from original blackjack, players can double down on any hand. The players can surrender, and lose only the half of their bet for the hand. If the player has not enough money for the minimum bet he\she loses the game and is eliminated from the WSOB. 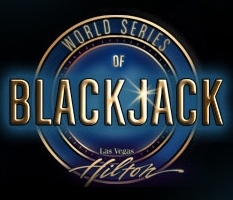 World Series of blackjack tournament consists of eight qualifying rounds, two wild card rounds, two semi-final rounds and the final round. One round lasts for 25 hands. After 25 hands the player with the most money wins. The most interesting difference of the World Series of Blackjack is a “Burger King Power Chip”. It is a special chip which allows the player to change one card from player’s hand on the next card from the deck. All players receive this power chip at the beginning of the game and can use it whenever they want. It is like exclusive bingo bonuses or other bonuses you can get while playing. There is another one interesting thing in the WSOB – two knockout cards in each shoe, shuffled randomly. When somebody gets this card from the deck the player with the least amount of chips eliminates from the tournament. After that the minimum bet raises to 2,500$. If there are 4 or less players at the table no one gets eliminated but the minimum bet still grows to 2,500$. After the second elimination card another player with the least amount of chips gets eliminated, but if there are 3 or less players at one table no one gets eliminated, but the minimum bet grows to 5000$. After each elimination card the deck gets shuffled. Both “Burger King Power Chip” and elimination cards first appeared in 2006 in the third season of WSOB.